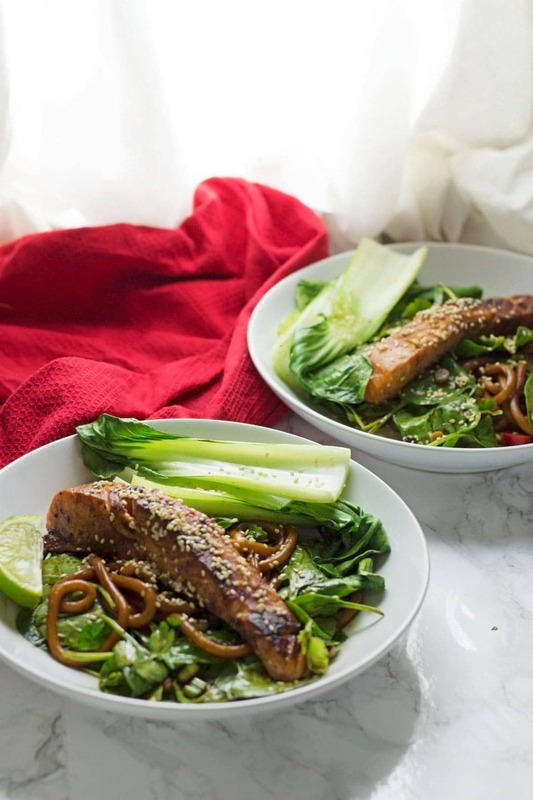 This fresh and healthy teriyaki salmon with udon noodles is a delicious summer dinner with a spicy kick. 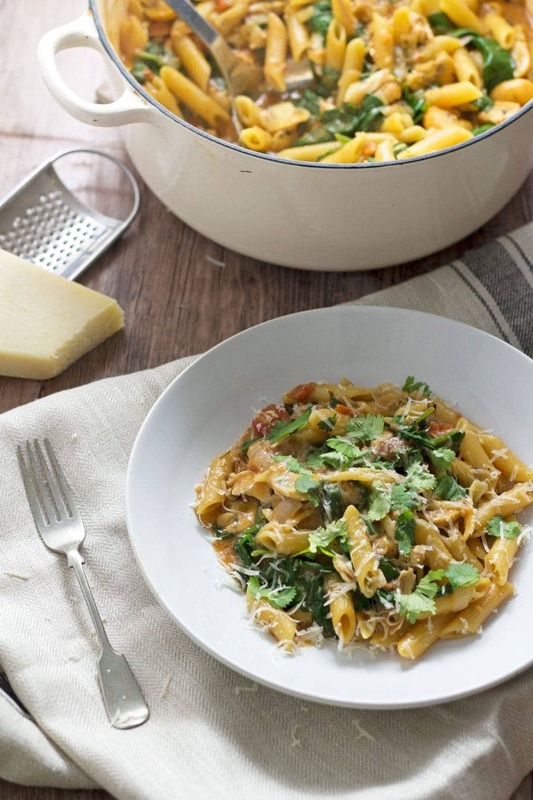 Serve with spinach and pak choi. Did everyone have a good Easter? It was so lovely having a long weekend to hang out at home. We ate loads of delicious food, starting with a feast on Friday when we cooked lunch for two friends. There’s a fishmongers that’s just opened up down the road from us so we went over on Friday morning and bought some big, fat, juicy prawns which we marinated in lemon, garlic and chilli before cooking them up on the griddle. Anyway, what followed that was a weekend of eating and drinking. My two favourite things. It was the kind of weekend that should probably be followed by a healthy dinner like this teriyaki salmon with udon noodles. Will is a huge fan of udon noodles. I can always guarantee a positive response if they’re included in dinner plans. 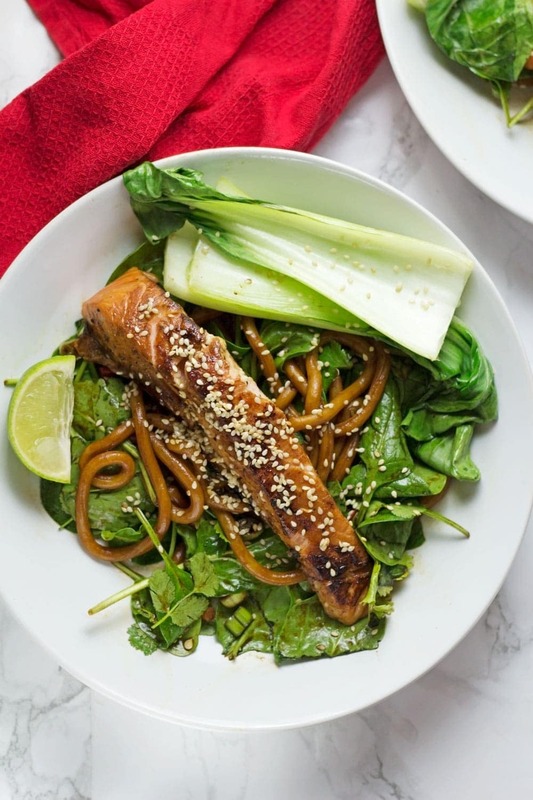 We’ve made a couple of other udon noodle recipes including peanut salmon and a stir fry with turkey mince both of which you should try making once you’ve eaten this teriyaki salmon! This teriyaki salmon recipe is a super fresh and healthy meal. It’s got a kick of chilli and loads of yummy soy and sesame flavour. 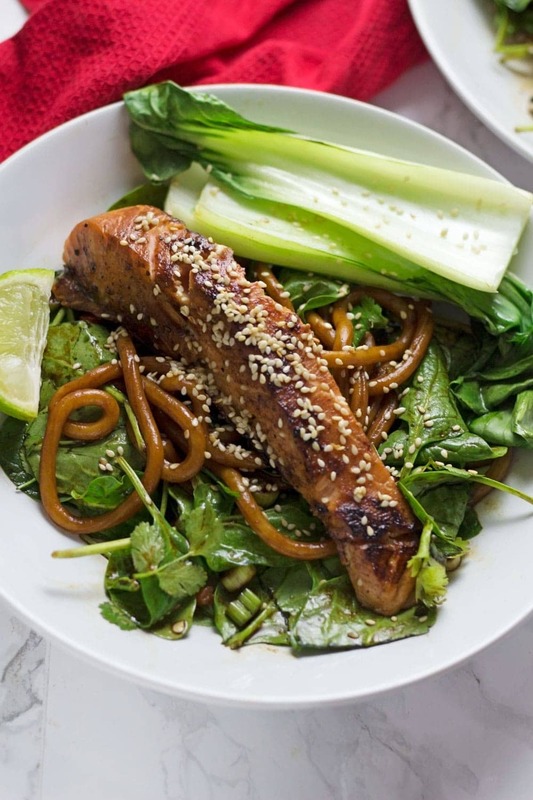 The marinated salmon tops a salad of spinach, pak choi, coriander and spring onion along with the udon noodles for a surprisingly filling meal. 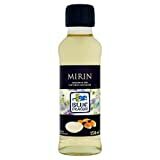 Mix the soy sauce and mirin together and pour over the salmon. Set aside for a couple of minutes. Cook the noodles according to packet instructions then run quickly under cold water and toss with the dark soy sauce, sesame oil, lime juice, chilli, spring onion, spinach and coriander (cilantro) in a large bowl. Heat the vegetable oil in a frying pan or on the flat side of a griddle and cook the salmon skin side down for 2 minutes. Flip and cook for another 2 minutes before flipping again and finishing skin side down until it’s crisped up. While the salmon is cooking cut the pak choi in half and cook alongside the salmon for a few minutes until wilted. 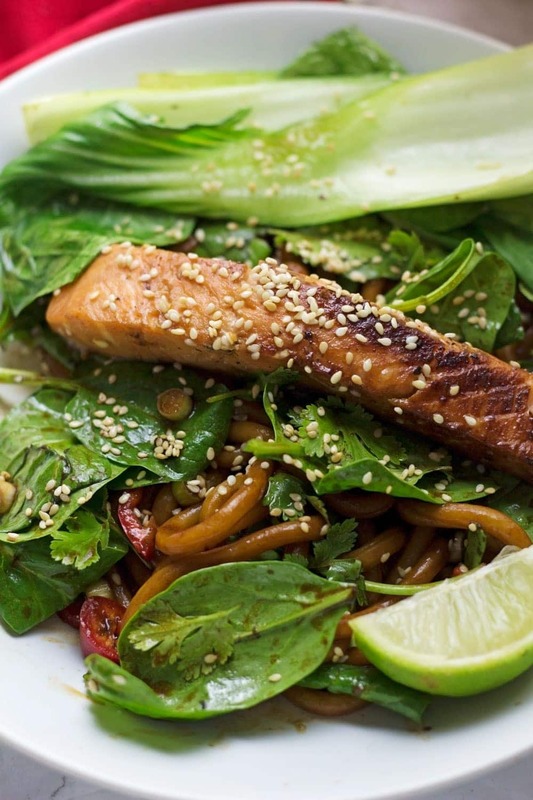 Serve each salmon and pak choi with half the salad. Top with sesame seeds and serve with a slice of lime. Want more? Try these other udon noodle recipes! Plus, get all my other fish and seafood recipes before you go! 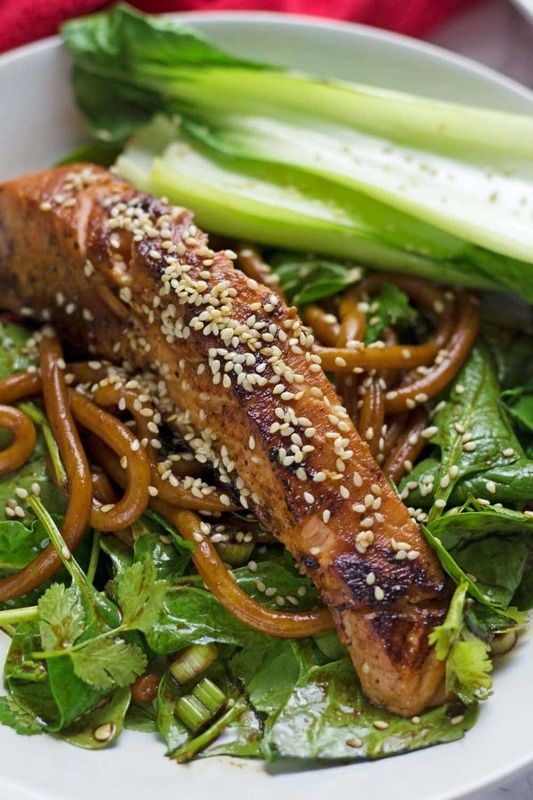 WONDERING WHAT TO DO WITH THE LEFTOVER INGREDIENTS YOU’VE GOT FROM MAKING THIS TERIYAKI SALMON WITH UDON NOODLES? Cook the noodles according to pack instructions. Refresh briefly under cold water. Mix the sesame oil, dark soy sauce and juice of 1 lime in a bowl and add the noodles followed by the chilli, spring onion, spinach and coriander. 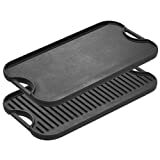 Heat the vegetable oil in a frying pan or on the flat side of a griddle and cook the salmon skin side down for 2 minutes. Flip and cook for another 2 minutes before flipping again and finishing skin side down until it's crisped up. I’ve been craving for salmon for days and now, it made me decide to go to the market to get some salmon. Thanks for sharing the recipe. Those udon noodles look amazing with the fish. 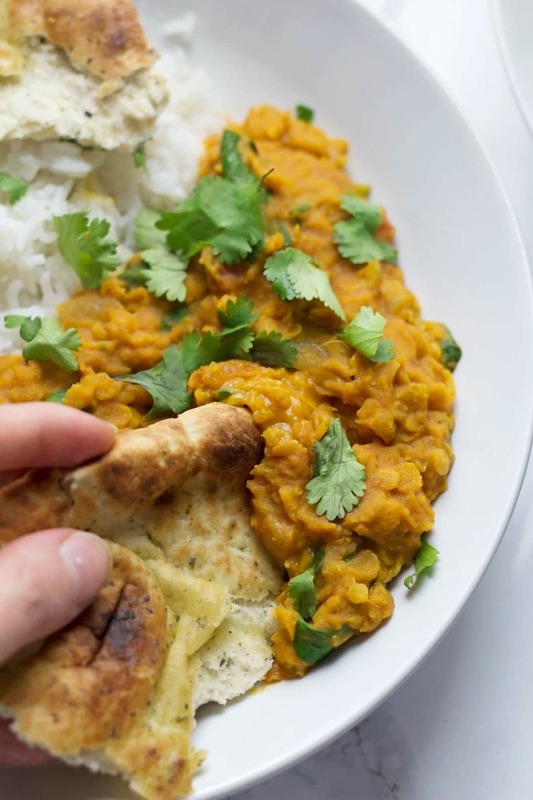 This looks so delicious and nourishing. I love the presentation, and the flavors must be amazing. I love that you added sesame seeds!